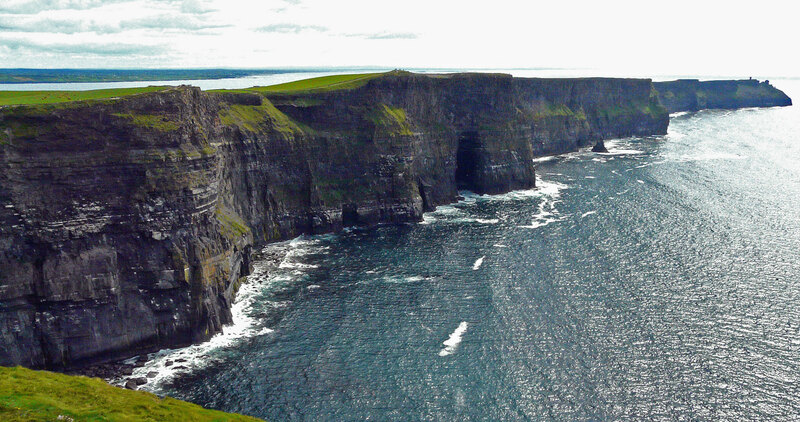 What’s Included: 7 nights, daily breakfast and dinner, group transfer from and to Shannon Airport, guide, support van, bicycle rental, all entrance fees and our famous t-shirt. … insuring that the special charms of Connemara are fully enjoyed. This lesser-known western coast area (the Irishman’s Ireland) has place names that sound like poetry – Galway, Carna Bay, Oughterard. In fact, Oughterard is where the bus from Shannon will take you, to an inviting hotel for your first night in a storied land. The next day’s biking is an immediate plunge into history: a visit to Aughnanure Castle, dating from around 1500, a time when a family who could afford it built a castle-like tower to live in because anything else might be dangerous. The O’Flahertys, the family who built Aughnanure, have come down in history as “ferocious, mountainous and wild people,” but like others of the local nobility wanted a secure place to call home. A wholly different atmosphere will be found at Brigit’s Celtic-Inspired Gardens, where we stop for lunch and to enjoy the flowers. The afternoon takes us ever closer to the sea, ending at the seaside itself and the town of Furbo. Our hotel has a swimming pool; the ocean has a beach. Glimpses of the ocean are frequent on the next day’s route, moving on through Connemara. Not surprisingly, fishing is a local industry and has been as far back as memory can reach. The facts that views are often delightful and the sense of a quieter world is omnipresent has no particular relevance to the fishing industry but is certainly a plus for the bicycle rider. In the village of Carna, that evening, there’s Carna Bay to look out at, with Mweenish Island rising from the bay. If you take a walk through the village you’ll not get lost; if you strike up a conversation with a local you’ll perhaps learn something you hadn’t known before. The following day we move through increasingly grand scenery to Clifden, skirting Cashel Bay and pausing for lunch at Roundstone, a fishing village discovered some years ago by artists who now give the place its own distinctive touch. Crab, shrimp, mackerel and cod are in plentiful supply in Roundstone, but lobster is king. This is the perfect town in which to learn how to fillet fish, and in fact, in our tour of the Connemara Smokehouse we will see a demonstration of just that. Two nights in Clifden allow for perhaps the most scenic ride of the tour, along Sky Road (described as both infamous – does that mean steep? – and stunning) taking you to an upper overlook for a view generally agreed to be splendid. We also have a free afternoon to poke about in Clifden, historically a market town now complete with craft shops bringing it into the 21st century. 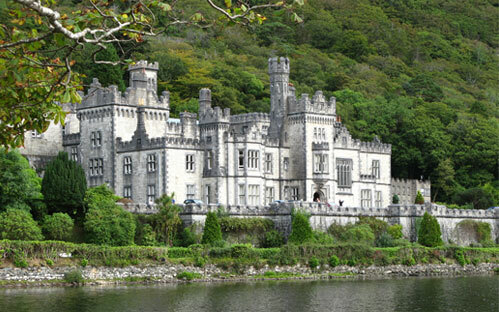 A morning’s biking the following day takes us to Kylemore Abbey, a historic estate complete with mausoleum, Gothic church and walled garden. Our trek continues to the village of Leenane situated on Killary Harbor, Ireland’s only fjord, where we surrender the bicycles. 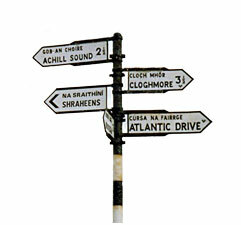 Set off the next morning by coach to Galway, described as the country’s third largest city and its cultural core. 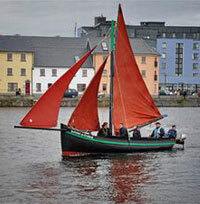 Discover the medieval roots and complex history of Galway, before coaching to Ennis to wind up our trip, to bring together our thoughts on this lively, lovely, engaging country.